Appearance and Feels: The Great Blue definitely lives up to the name. 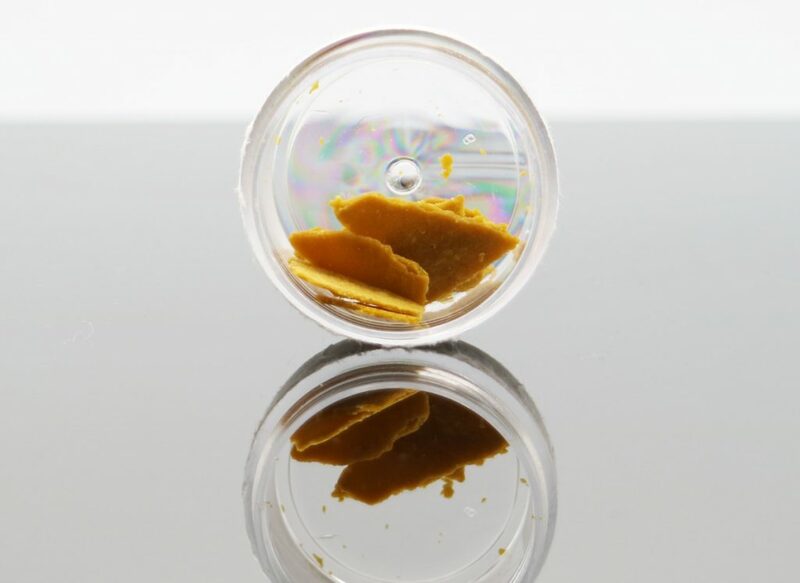 It looks great, wafer thin blonde crumble that’s easy to handle and toss in a banger, or between some weed in a bowl. Smell: The Great Blue is much heavier on the Blue Dream and that shows through in the aroma. It’s mostly earthy and spicy like most crumbles, but when you get some on your finger and smear it a little bit, you can start to detect that sweet blueberry smell. As far as crumbles go, this definitely looks promising. 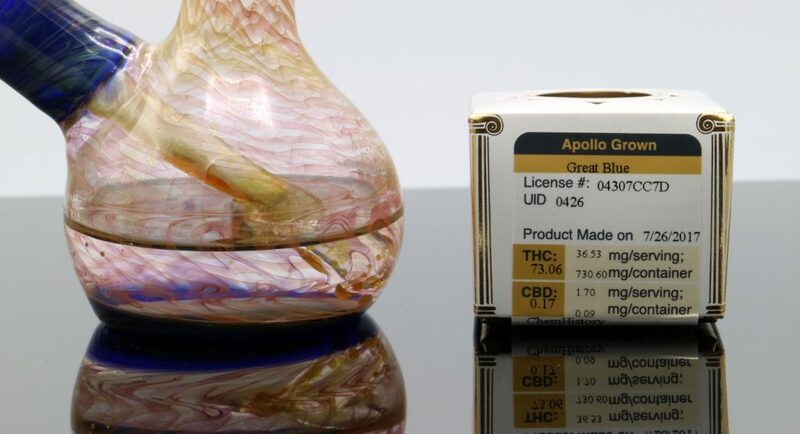 Flavor: The crew at Apollo Grown is known for creating hand picked blends of different strains when creating their crumble. The Great Blue crumble is a Great White Shark and Blue Dream blend. They said it’s a sativa dominant crumble, which will become apparent once you smoke it in between some flower or take a straight dab of it. The Great Blue has a nice spicy bite to it with a sweet mellow background tune of berries. Definitely a nice tasting blend for the crumble connoisseur, or anyone just trying to save a buck on their dabs. High: The high has a nice uplifting feel to it with a subtle hint of euphoria. It definitely makes the aches and pains go away, or at least distracts you enough to not care about them anymore. The bark is much worse than the bite with the Great Blue crumble. It’s definitely got the power to give you that two hour couch lock experience if you let it. Take two dabs, I dare you. I’m kidding of course, but make sure you know your own endocannabinoid system and how you will react to a 73% THC crumble. Dabs got me there for sure. 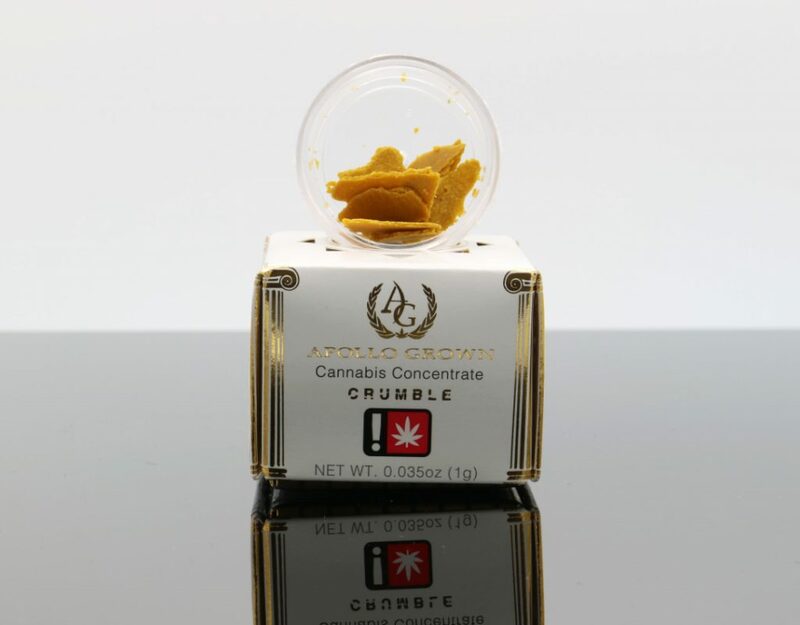 Overall: The Great Blue crumble by Apollo Grown is a great choice if you want a more cost efficient way to stay high dabbing for days and days. 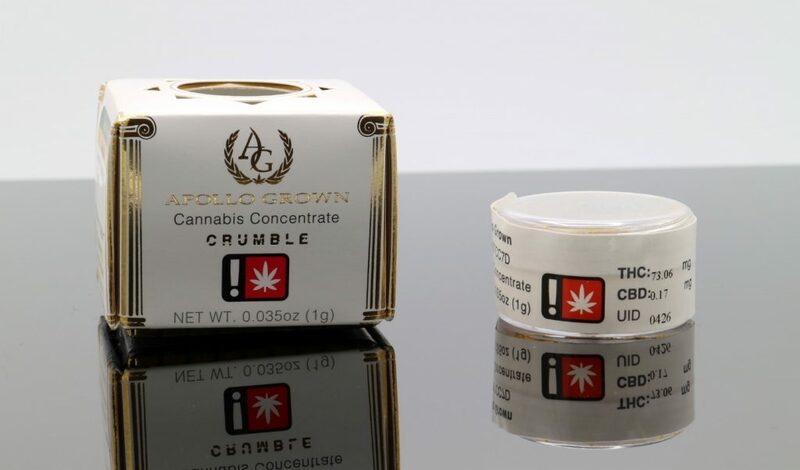 It’s got a light color, and a taste that will make crumble connoisseurs and daily dabbers ask for more. What’s that you say? A tasty crumble that won’t hurt your throat, or your pocketbook? Well I’m in. Great Blue has a solid high and a great smell, which is hard to beat in the crumble market these days, if you can even find any. 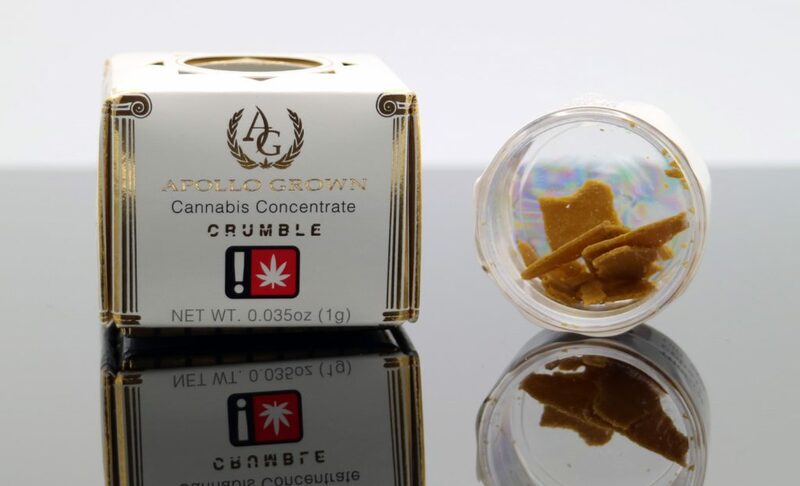 Apollo Grown is bringing crumble back in a fierce way.